Been here two years in a row. They are fantastic with both adults and children and even made the appointment fun for my daughter. I would not go anywhere else and I would definitely recommend to friends and family. Very experienced and professional staff, always happy to help and nothing is too much trouble. Excellent service and I got my new glasses in four days which I’m very happy with. The scan facility was fantastic, the service ace. Didn’t feel rushed as experienced with other opticians. Prices of frames good, second frame free. Worth a visit! We have recently been voted one of the best Opticians in Middlesbrough! 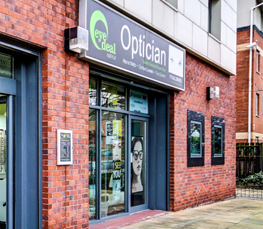 Handpicked Top 3 Opticians in Middlesbrough, UK. Our 50-Point Inspection includes everything from checking reviews, ratings, reputation, history, satisfaction, trust and cost to the general excellence. You deserve only the best!